We have specialists in many fields who are available to resolve your difficulties. We can assist with many of the frustrating problems that a lack of knowledge of the Spanish language can bring. We supply interpreters at the health centre to assist you with the medical staff. We help at the ayuntamiento (Town Hall). We represent your views to the politicians and act as mediators in your disputes. We keep you up-to-date, with detailed information on local news, here on this Web site, and in our free magazine. Too good to be true? Why not find out? ⇒ For just 15 euros a year, you and your family can access all these services—and receive our magazine, which will keep you abreast of current local events. ⇒ You will also be able to access the ‘members-only’ areas of this Web site—and add your own contributions, if you wish. You can join at an AFPO public meeting. Or via our post box or our bank (details here). Or by filling in the form below. Please do not fill in this form if you are already an AFPO member. And please do not fill it in unless you have a PayPal account or are prepared to set one up..
You need a Spanish address, to which your membership card will be sent, and your AFPO magazines when they are published. 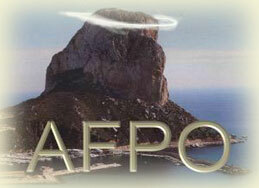 AFPO do not post out of Spain. Some details have been suggested, to save you time. If they are incorrect in your case, you can change them.